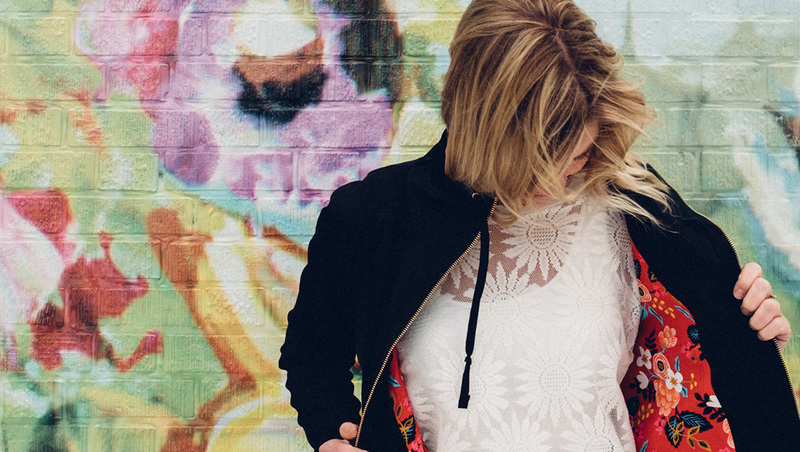 The Women’s Joy Jacket released on Monday, and we want to thank you so much for the warm reception and excitement over this pattern! It means a lot that you love it, and we can’t wait to see your Joys. You can read more about the special meaning behind this pattern in our release post here. We have a fun post for you today! 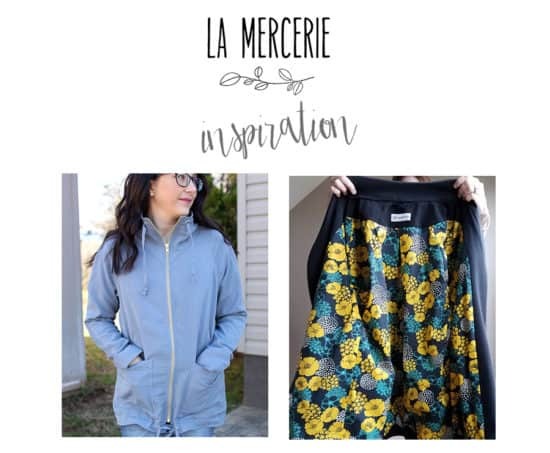 We’re bringing you fabric inspiration from some of the best indie fabric shops in North America: Blackbird Fabrics, Style Maker Fabrics, La Mercerie, Harts Fabric, Imagine Gnats, Raspberry Creek Fabrics, and IndieSew. Plus some coupon codes, because who doesn’t love a good deal? 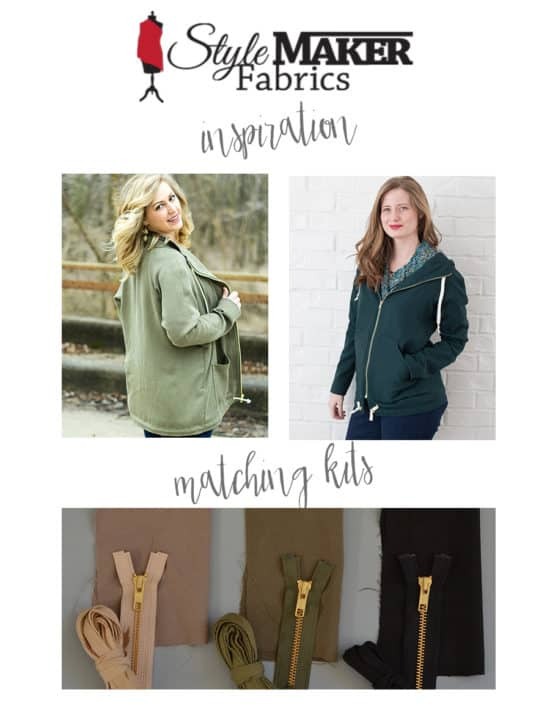 Make sure to grab your Joy Jacket pattern while it’s on sale and stock up on some fabric while you are at it. 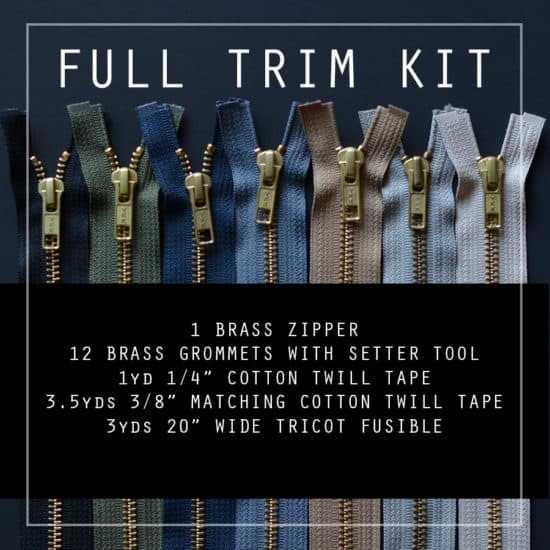 We are excited to announce that we will be stocking a very limited number of Joy Jacket trim kits. The kits will be available for pre-sale at a discounted price. There will be two kit options, and both kit options will be available in seven different colors. The zippers will be available in two length options of 26” and 28”. We recommend using a 26” zipper for sizes 0-6 and a 28” zipper for sizes 8-18. 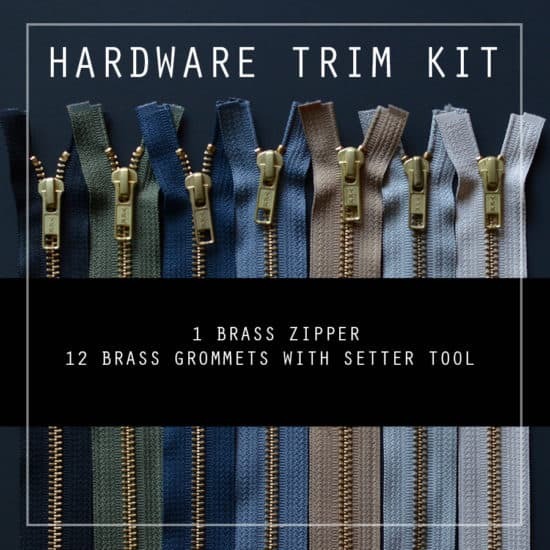 Stay tuned for more details regarding the trim kit release. In anticipation of this pattern release, we have been in touch with the amazing shops mentioned below. They have been sourcing and stocking fabrics that will work beautifully for the Joy Jacket. 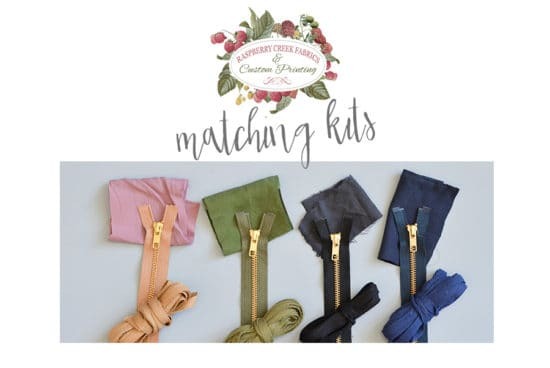 Below you will also see examples of coordinating trim kits. More info on kit pairings will be available once the kits hit the shop. As a reminder, here are the fabric recommendations listed in the pattern: This style is designed for medium weight woven fabric with a nice drape, approximately 5 oz – 6.75 oz (140 gms – 200 gms). Recommended main fabrics: tencel twill, tencel denim, rayon twill, rayon linen. Recommended lining fabrics: bemberg rayon, viscose batiste, lawn, flannel. If you’re using lawn or flannel for the body lining, it’s recommended to use bemberg rayon, viscose batiste or a slippery lining for the sleeves. Blackbird was one of the first places I went when I started sourcing fabrics for the Joy. I purchased several types of fabrics, but I have to say my favorite weight was the tencel twill II, used for the sample on the left. If you shop with Blackbird Fabrics, you know their fabric sells out fast, so I reached out to Caroline after most of the tencel twill II had sold out to ask when it would be restocked. I was so happy to hear that she was not only restocking it but bringing in even more colors. I might already have purchased more. 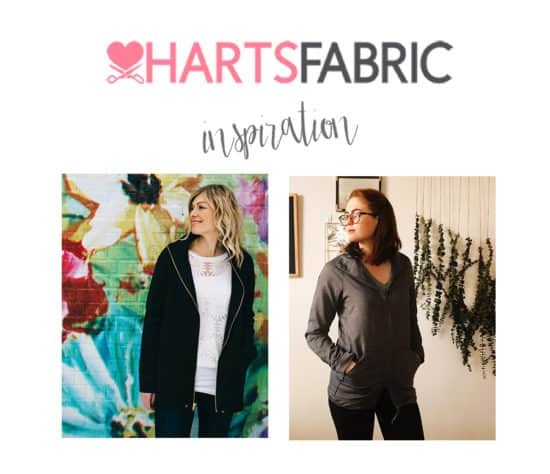 I am such a huge fan of Harts Fabric and their customer service. I was able to show Dana an early sample of the Joy while I was teaching the Fringe class back in October. She generously gifted me this cupro fabric that had both a matte and a shiny side. I sewed up a sample for Jill of Kneesocks and Goldilocks using the shiny side out, and it was really great to work with. Jill discovered the fabric was water resistant as she was taking her photos in the rain! So if you are looking for something that is water resistant, this cupro is a great choice. Maddie used a soft cotton twill and loved it. You can read more about her review here. Harts Fabric also has a great selection of bemberg lining, which is a dream to work with. During Allie’s last trip to LA, she sourced some really awesome tencel twill in beautiful colors. These had a slight shipment delay, but don’t worry! Allie hustled to get them all in her shop, so they are available now. IndieSew is another shop that sells out of fabric very quickly, so if you see something you are interested in, I would grab it. 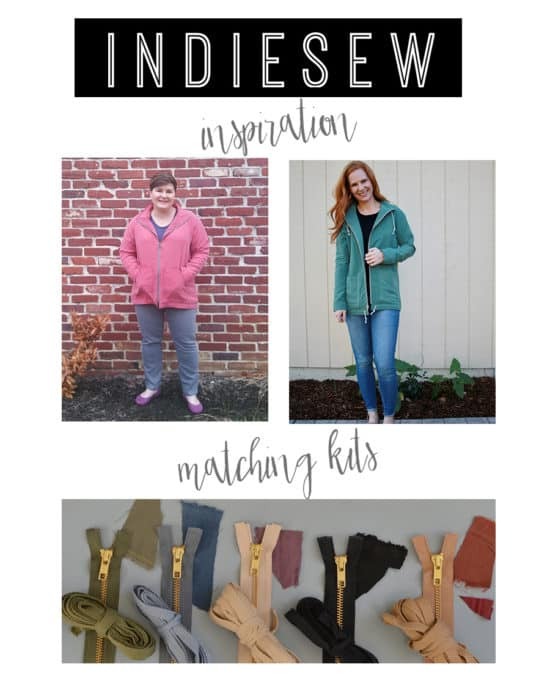 To see some of IndieSew’s fabric in action, you can check out Meghan’s Instagram post where she used the watermelon twill. Patti used a beautiful green twill during testing, and you can see more photos in her Instagram post here. Patti’s green color is unfortunately sold out, but check out the seven beautiful options that are in stock here. Allie did mention that the olive green color was a little lighter weight than the rest, so it might be better suited for a blouse. While you are shopping for tencel twills, check out the super soft double cloth that would be really nice as the bodice lining; just remember to use a slippery lining for the sleeves. Jess has such a great shop curated with the most gorgeous fabrics from all over the world. I am always falling in love with something every time I stop by! Not only is she bringing in tencel twill and viscose twill, but she also carries so many beautiful lawn prints that work for the bodice lining (again, you will need slippery lining for the sleeves). Both Heidi and Loni used a combo of tencel twill and cotton lawn for their Joys. 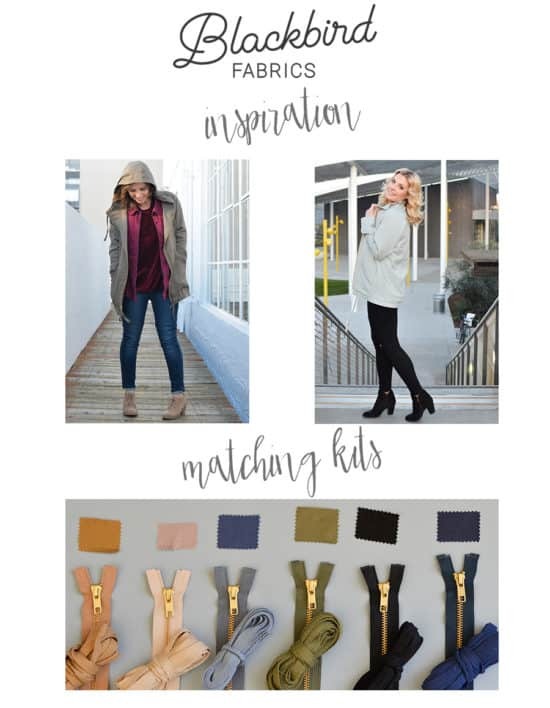 Heidi has a great post with loads of resources that you are going to want to check out here. Loni is known for making our tests full of positivity and fun. She is such a pleasure; you can see her Joys here. Diana has also sourced beautiful enzyme washed tencel twill in four colors. 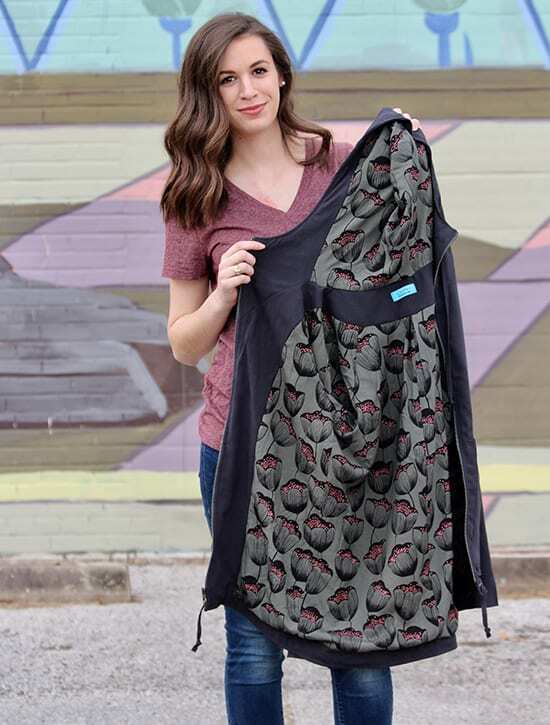 You may know her shop Raspberry Creek Fabrics for her custom printed club knits, but she also carries loads of woven apparel fabrics. These are just in, and I love the beautiful washed texture! Since these are new, I haven’t had a chance to sew a sample, but I did receive swatches and they are perfect. I am so happy that Diana brought these in just for the Joy. 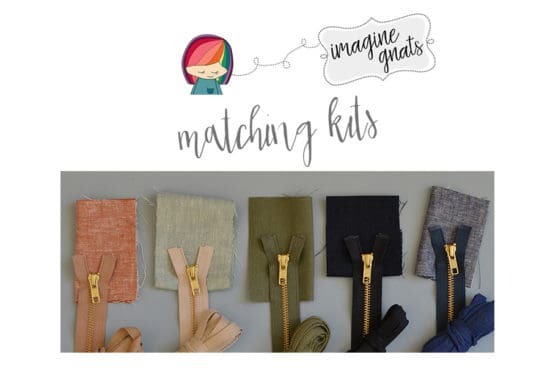 Michelle has a huge selection of apparel fabrics in a rainbow of colors, plus trims to help you source everything you need for a Joy or maybe two! Check out the twill section. I used this taupe color for one of my first samples, and I still reach for it since I love this fabric and neutral color. Make sure to check out her trims and notions while you are at it. I love working with Cassy, and she has a review of her beautiful jacket here. I love the contrasting drawstrings Nicole used for her Joy. It looks really fresh and youthful! You can see her review and more photos here. Rachel has some beautiful linen options in her shop. I know we have been talking a lot about tencel twill, but linen is another great substrate for this pattern. After reviewing these samples, they have a great drape and would be perfect for this pattern. Of course, we want to make sure you order what you need, so here is the yield chart for easy reference. So there you have it. TONS of Joy fabric inspiration and great discounts for all of your spring sewing projects! I also want to say that this is by no means a comprehensive list of indie fabric shops. These are shops that I have purchased fabric from and can personally recommend. I feel pretty strongly about buying from indie fabric shops to support other hardworking, creative ladies in our industry. So please, if you have other indie fabric shops you’d like to share, feel free to post a link in the comments. I am totally guilty of being an enabler but these offers are just too good to pass up! I can’t wait to see your Joy! I can’t wait to sew the Joy! Do you think 2 yards would be enough for viw a or is the extra 1/4 yard needed? How much lining fabric do you need for just the sleeves? Thank you for asking! You could use 2yd for View A (sizes 0-10) if you use pre-made drawstrings or omit them. If you are using separate fabrics for the bodice and sleeve lining, you can order 1yd of each – as long as your fabric is 54″ or wider.